*** I have two posts today. If you are looking for the Love Bugs Banner Hop, please CLICK HERE. Hello, Bloggers! 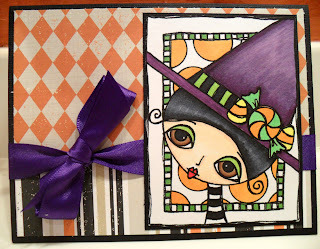 Today, I am sharing my very first project as a DT member for Forever Night Challenges -- where creepy meets creative! 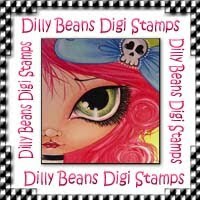 This week, we are featuring digi's from Dilly Beans Stamps. Megan over at Dilly Beans Stamps has some really unique stamps in that they are a great combo of creepy and cute! Please be sure to check out her site! 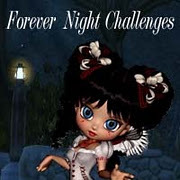 Now, over at Forever Night Challenges, the emphasis is more on creepy rather than cutesie, so I made sure to pair the image with some paper that wasn't too bright or cute. I chose to use Echo Park's Apothecary Emporium. 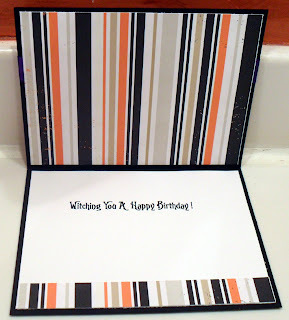 I also used the same paper to line the inside of the card. I don't always line the inside of my cards, but I'm trying to get into the habit of doing it more often! The sentiment was computer-generated and says "Witching you a Happy Birthday!" I was thinking this would be the first of my handmade birthday cards for the year, but my teenager said she wanted to save it for one of her friends who has an October birthday. 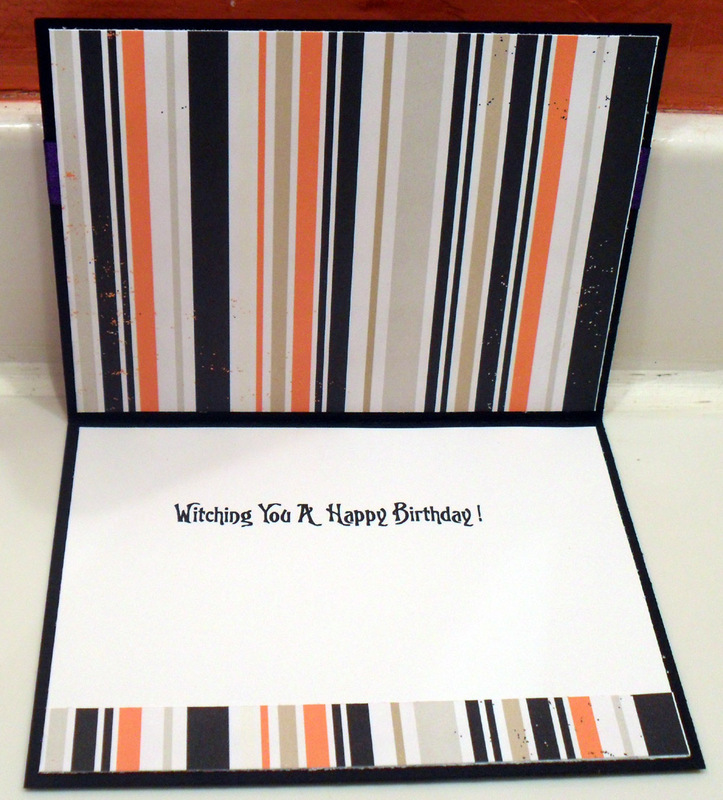 Oh, well ... guess my birthday card count for the year is back to zero. LOL! We were allowed to choose from a bunch of avatars, and when I saw this one, I knew I had to pick it! The avatar is a representation of Jack Skellington from the movie "The Nightmare Before Christmas". If you're familiar with the movie, you'll know that it's really not scary at all. In fact, Jack Skellington (the main character in the movie) is my fifteen-year-old's FAVORITE character of all time. 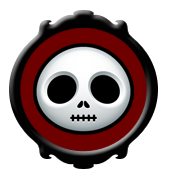 So, I thought it was only fitting that I pick this avatar. I hope you enjoyed visiting my blog today! I really appreciate all the comments I get; and, please -- if you have any questions on any of my projects, please feel free to ask! Thanks and have a great day! Cute birthday card also makes a cute Halloween card also..... Lucky on your avatar! Cute card! Love your avatar! Your halloween card is cute! I like that you've decorated the inside as well as the outside! Very cute Dena! :) And that avatar is adorable too! CUTE, girlie!!! I am off to check out the digi site... love new digis!! !